“The first rule in a crisis situation: You negotiate first and attack last.” Funny thing about this rule: this is how I try to approach my clients’ cases. I have in the past discussed the importance of having a good relationship with the Office of the Chief Counsel — the lawyers who represent the government in removal proceedings. Also see my post acknowledging the overall professionalism of this field. If you want to meet with an attorney who knows what he’s doing, I invite you to contact me. 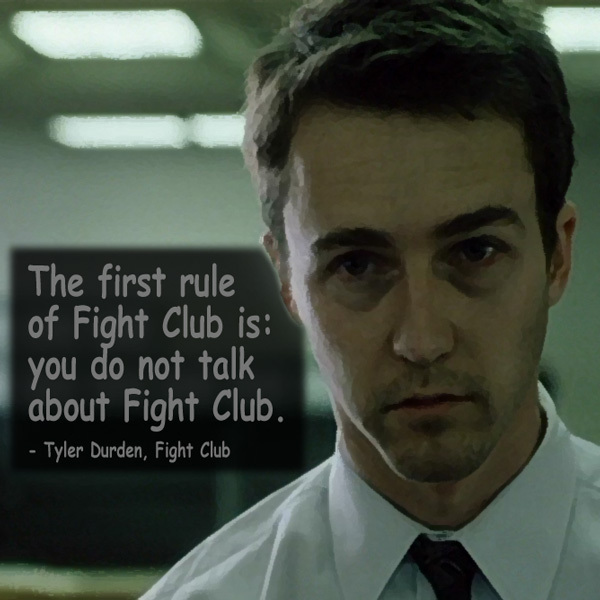 I promise you that we will not talk about Fight Club.